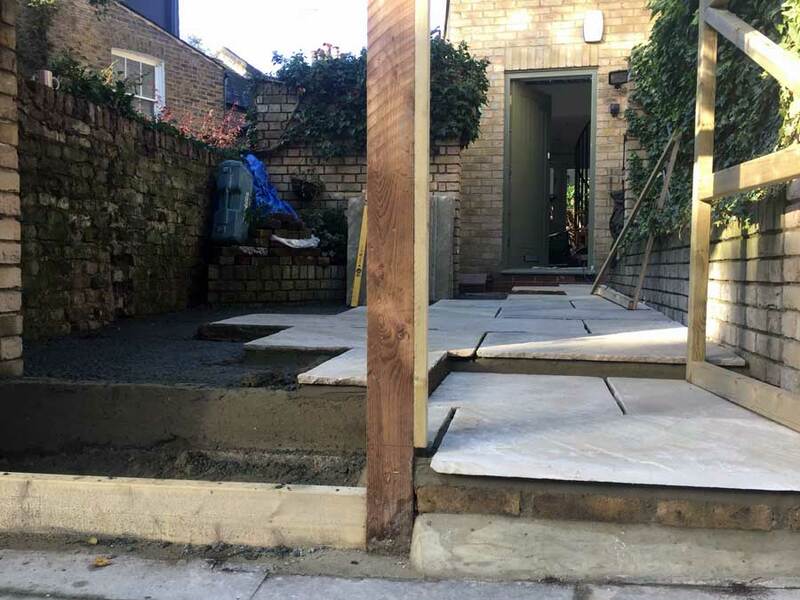 A customer with a deep shingle front yard giving onto the street, an inquisitive toddler and a feline turf war for toilet rights needed a solution. 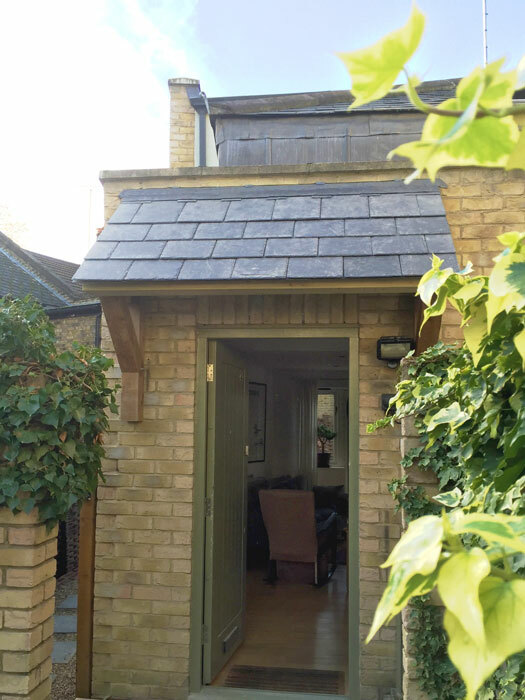 The front door was also an issue, taking too much weather during the wetter months and becoming a sticky issue each winter. 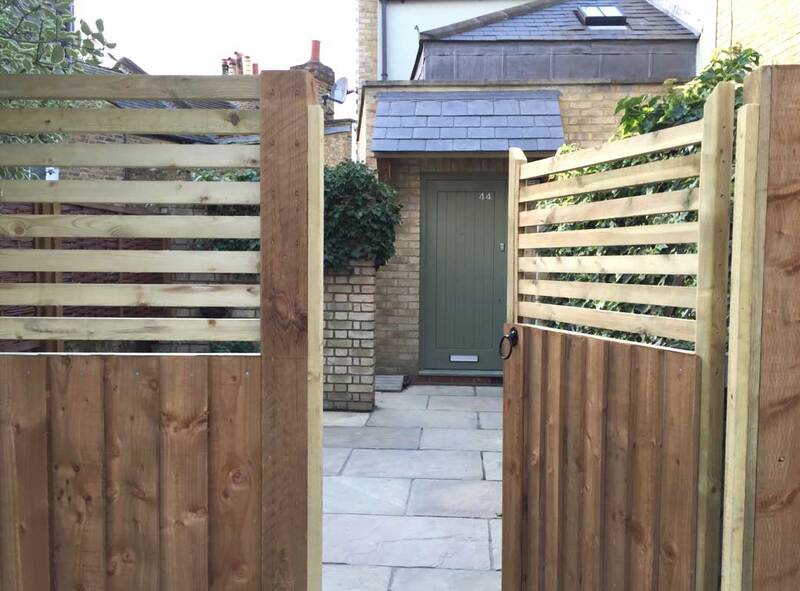 We solved the first part by erecting a new fence complete with a bespoke gate and paving the main area. 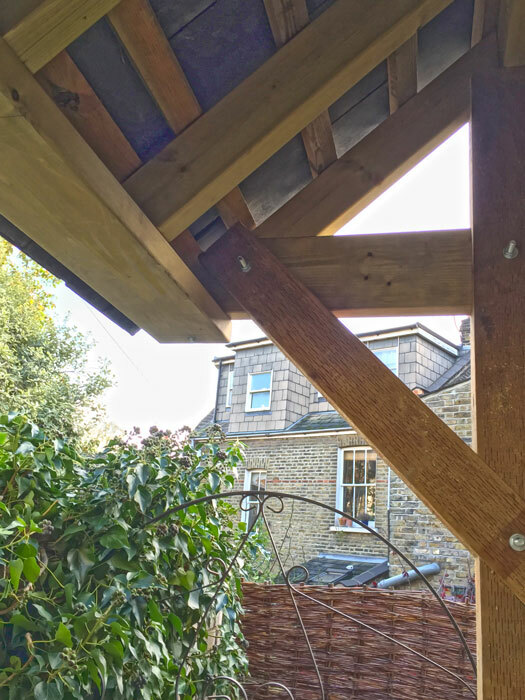 For the porch we used the same timber as the fence and hung it with slate so that the structure was in keeping with the new garden and existing roof.